American Recycling takes proactive care about Data containing devices. That is why we are investing in equipment like Hard Drive Shredder, Mobile Hard Drive Crusher, and a secure, certified software that overwrites the existing data up to 3 times, ensuring complete and secure data destruction. We provide the highest level of secure data destruction services, whether on-site or at our secure facility. We have the ability to provide secure data destruction for data drives that meet the DOD 5220.22M and NIST 800-88 Guidelines for Media Sanitation. Our facility issues a Certificate of Data Destruction for proof of destruction upon request. Effective – Our crushing tool is more effective and safer than degaussing, drill presses, or the “hammer” technique. Fast Systems – We can process hundreds of 3.5″ hard drives per hour. Visible Results – Unlike degaussing, you can visually confirm that our secure data destruction services have been completed. Quick Set Up – The self-contained hard drive punch takes just minutes to set up and take down. Quality Support – We will assist your support staff and can remove hard disk drives from machines and record asset details of crushed drives. 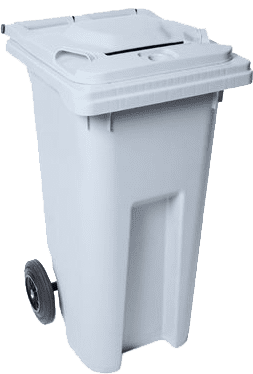 Upon request, we will also provide our clients who would like to be assured more security for their data-containing devices, with a cart to store their devices in. The cart we provide is tamper proof with Internal Lockjaw® locking system for secure disposal of documents. Physical destruction ensures that your data devices and the information stored on them cannot be accessed. We can process hundreds of drives per hour, allowing your on-site security or IT staff to review the process in person. American Recycling then places the crushed drives into a secure container for delivery to a American Recycling processing facility. Our customer will receive a Certificate of Destruction upon requested after the asset disposal process is completed.